Singer songwriter from Uganda in East Africa available with full multi-racial band for hire. Seby Ntege is a singer songwriter from the Busoga region in the eastern part of Uganda, known for its great tradition of multi-instrumentalists. 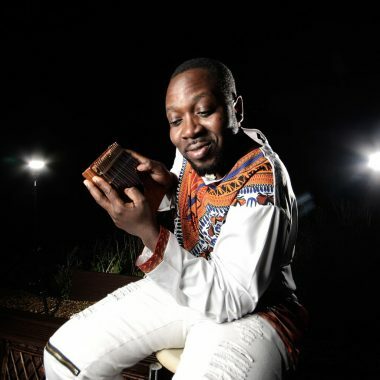 Seby Ntege is a uniquely charismatic singer and songwriter from the Busoga region of eastern Uganda, an area renowned for producing some of East Africa’s best multi-instrumentalists. 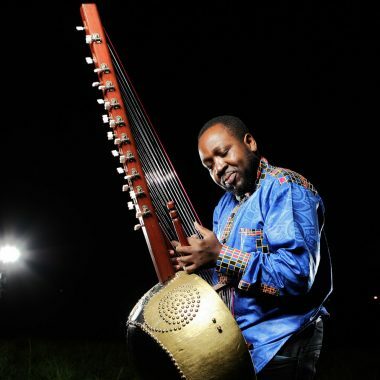 Seby himself is a master of half a dozen folkloric instruments, including the akogo thumb piano, endongo lyre, adungu harp, and the one stringed fiddle called endingidi. 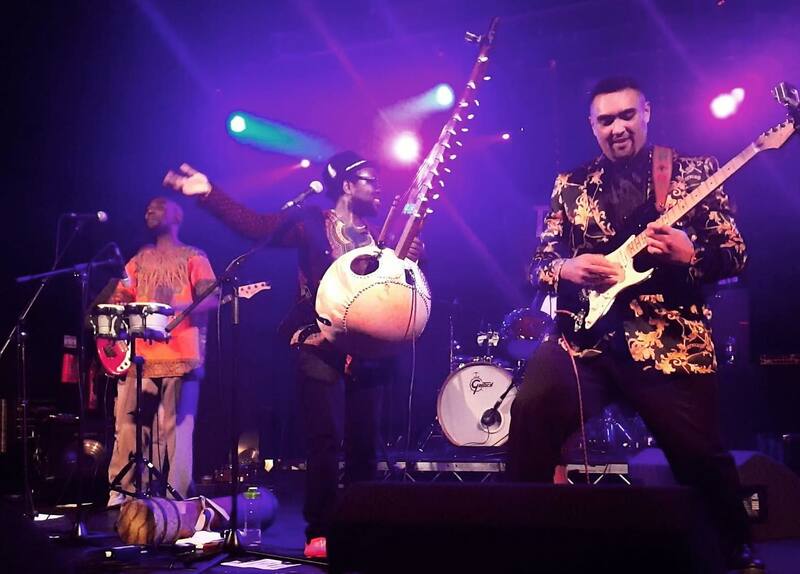 Born into a musical household, Seby joined the family band Nile Beat Artists aged 13, introducing him at an early age to the international stage and touring neighbouring African countries as an instrumentalist and dancer. 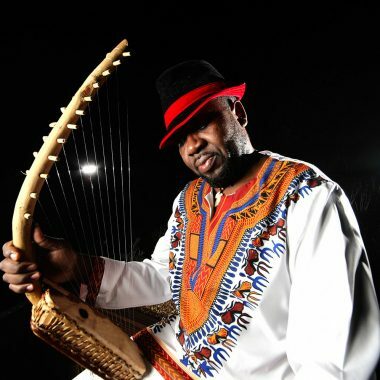 Relocating to London in his twenties Seby quickly gained respect as an ambassador of traditional Ugandan music, whilst his musical curiosity soon led to fruitful collaborations with various celebrated artists, notably acclaimed Gambian Kora player Sona Jobarteh. In 2018, gathering a multicultural band around him, Seby distilled this journey into a highly autobiographical album that would showcase his virtuosity as a musician. 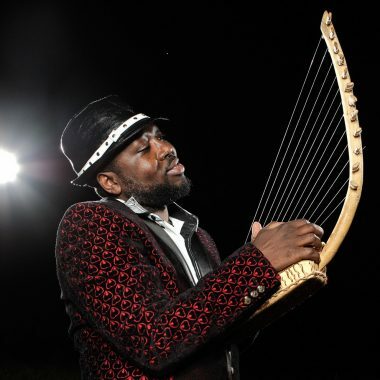 Described by Seby as “a musical memoir of 15 years of living in the UK” the album Five Notes relates all that Seby has learnt – the five notes of the album’s title referencing both the five note pentatonic scale in which Ugandan instruments are tuned, and the autobiographical content of the songs. Picked up by A World In London’s DJ Ritu and championed by BBC Radio 3’s Max Reinhardt via BBC Introducing, Five Notes received praise on BBC World Service, Resonance FM and BBC London, leading to live appearances at WOMAD and Latitude festivals and a 10 date UK tour supported by Arts Council England. Seby’s current band features vocalist Diana Lwanga who has released her own album of Luganda language children’s nursery rhymes, guitarist `Mr’ Will Sherratt – a student of legendary Congolese guitarist Lokassa Y Mbongo, Lucas Keen previously the drummer for Rise Kagona of The Bhundu Boys, and on bass Rob Stevens, producer of Five Notes and another multi-instrumentalist.